Description: A 120-year old company with more than $6 billion in sales, The Scoular Company operates 90 independent business units that provide diverse supply chain solutions for end-users and suppliers of grain, feed ingredients, and food ingredients around the globe. 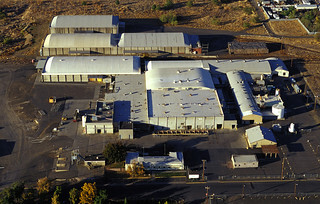 In 2013, Scoular ranked 54th on the Forbes list of America's Largest Private Companies. Description: Northwest Grain Growers works with farmers and farm-related businesses to streamline their operations and reduce their costs. Harris Rebar Columbia Basin, Inc. Description: Harris rebar is North America's leading fabricator, installer, and distributer of concrete reinforcing steel and related products. Description: Since 2006, with a broad group of rail industry managers, Frontier Rail has established new ways of delivering cost-effective railcar "first-mile and final-mile" solutions, for rail customers and carriers alike. Description: Based out of the Tri Cities, Frontier Transport has been providing Walla Walla County and Benton County with general trucking and transportation since 2012. Description: Westway produces animal feeds including free-choice liquid supplements, feed mill liquids, supplement blocks and dried molasses for beef, dairy, horses and other livestock. Description: Founded in 1906, Schnitzer Steel is a global leader in the metals recycling industry. They process and recycle raw scrap metal and provide processed scrap metal to mills and foundries around the world. Description: Railex LLC is a refrigerated rail service in partnership with the Union Pacific Railroad and CSX that transports fruits, vegetables and other temperature sensitive cargo to California, New York, Illinois, and Florida. Description: Railex LLC's Wine Warehouse is a refrigerated rail service in partnership with the Union Pacific Railroad and CSX that specializes in transporting northwest wines to California, New York, Illinois, and Florida. The primary tenant is Ste. Michelle Wine Estates, which produces about 65% of the wine in Washington State. 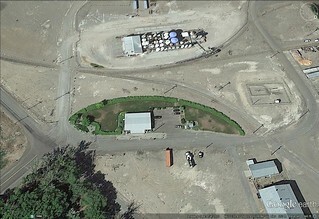 Description: Boise White Paper leases land from the Port of Walla Walla which is used as a composting facility for the paper mill located two miles south. Description: American Fiber Products offers a full line of soil amendments, compost products, oil absorption products, animal breeding, filter media, and insulation products. They work with some of the largest American made businesses in the country and are constantly developing value-added products from industry waste streams, offering better solutions for the environment and their customers. Description: Midlands Carrier Transicold offers a complete range of the industry's leading direct-drive and diesel-drive truck units as well as the most advanced trailer refrigeration systems and auxiliary power systems available today. Their systems are made in the USA and are engineered to deliver unmatched capacity and fuel efficiency, industry leading pulldown, and precise temperature control. Description: Granite Farms is a local farm leasing land from the Port until it is needed for further economic development. Description: Northwest Grain Growers distributes grain across the country from the Wallula Shipping Terminal. Interm use as a parking lot to support downtown business and commerce. Description: Crown Paper and Janitorial Supply was founded in 2000 when industry veterans Doug Hamilton (Crown president) and Mike Nelson, owner of the Walter E Nelson Company, purchased Crown Chemical and changed the focus to paper and janitorial products. 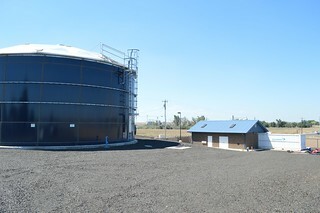 The company now has branches in Klamath Falls, North Bend, Seattle, Bend, Spokane, Astoria, Eugene and Walla Walla and employs over 400 people. The Walter E. Nelson Company has the finest products, services, facilities, and above all, the best people to serve your janitorial, paper, chemical and packaging supply needs. Description: Bottler and distributor of Coca-Cola products whose franchise territory covers Washington, Arizona, California, and Nebraska. Description: Key products are at work today on 6 continents—with equipment that prepares raw foods for further processing; optical sorters that remove defective product and foreign material; and vibratory conveyors that safely transport goods. All Key Technology products and services are designed to enhance quality, increase yield, and reduce cost. Description: The Walla Walla Foundry, which has over 100 employees, produces contemporary fine art in bronze, aluminum, stainless steel, and mild steel, wood, as well as a variety of composite materials, for internationally known artists. Description: Northwest Collision Inc. offers windshield repair and replacement for foreign and domestic automobiles, as well as body and frame repair services. Description: Cott is one of the world's largest producers of beverages on behalf of retailers, brand owners and distributors. Cott produces multiple types of beverages in a variety of packaging formats and sizes, including carbonated soft drinks, 100% shelf stable juice and juice-based products, clear, still and sparkling flavored waters, energy products, new age beverages, and ready-to-drink teas, as well as alcoholic beverages for brand owners. Description: Artifex Wine Company provides world-class winemaking services to clients producing premium wines in the heart of Washington wine country. They offer a centrally-located facility, excellent equipment, and a specialized staff to nurture their customer's wines. Description: The Funeral Home Products segment of Matthews International is a leading manufacturer and distributor of caskets and other funeral home products in North America, producing a wide variety of wood, metal and cremation caskets. 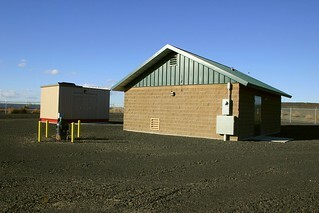 Description: Precept Wine is one of the fastest-growing wine companies in the Pacific Northwest. They offer some of the best quality-to-price wines of any producer in America, with critical acclaim to match. Comprised of a combination of owned vineyards, estates and passionate employees, Precept is uniquely poised as an industry leader and a trusted partner. Description: East Automation provides programming and consulting for agricultural, industrial, and municipal control systems. Description: Manufacturing of high quality, custom hand-poured plastic lures. Description: David is a local resident who specializes in woodworking. Description: Odom Corporation is a premier beverage distributor of wholesale beverages in the Northwest, representing many suppliers including MillerCoors, Coca-Cola, and Rockstar. Description: Recognized as a world leader in quality and innovation, Nelson Irrigation focuses on providing exceptional products – including Sprinklers, Control Valves, and Pressure Regulators – for agricultural and industrial applications. Description: Royse Hydroseeding & Excavating proudly serves the Walla Walla and surrounding communities providing quality work for commercial and residential customers alike, offering hydroseeding, environmental excavating, streambank reclamation as well as erosion and dust control. Description: For the last eighteen years UNIBEST has been providing farmers, agribusiness, environmental managers, and home garden consumers with monitoring products and data that are suited for their own unique application – whether that be to optimize crop management, understand environmental contamination, or grow a healthier backyard plant. Description: Founded in 1951 by Gail & Eva Martin, Martin Archery is one of the most experienced bow manufacturers in the industry. With countless innovations and patents over the years, Martin Archery has played a major role in the evolution of compound bow design, providing high performance archery equipment at a great price. Description: Log storage, chipping, grinding and processing of landscaping/decorative bark. Harry Johnson Plumbing and Excavation, Inc. Description: Family-owned and operated since 1948, Harry Johnson Plumbing & Excavation is a full-service design/build company with a wide range of experience in every phase of their trade. Whether private or public contracts, clients receive the benefit of our knowledge and skill. Bridges, roads, waterways, demolition, disposal and more.